The scarf today is a knit scarf that I received for Christmas 2011. I come from a big extended family so for Christmas we do Secret Santa. Everyone fills out a sheet of what they would want no more than $10. We each pick a name out of a hat and everyone gets to open a present after dinner while we’re together. In 2011 one of my cousins picked me and I had asked for yarn , of course, candy and a scarf. Well I got candy and a scarf. 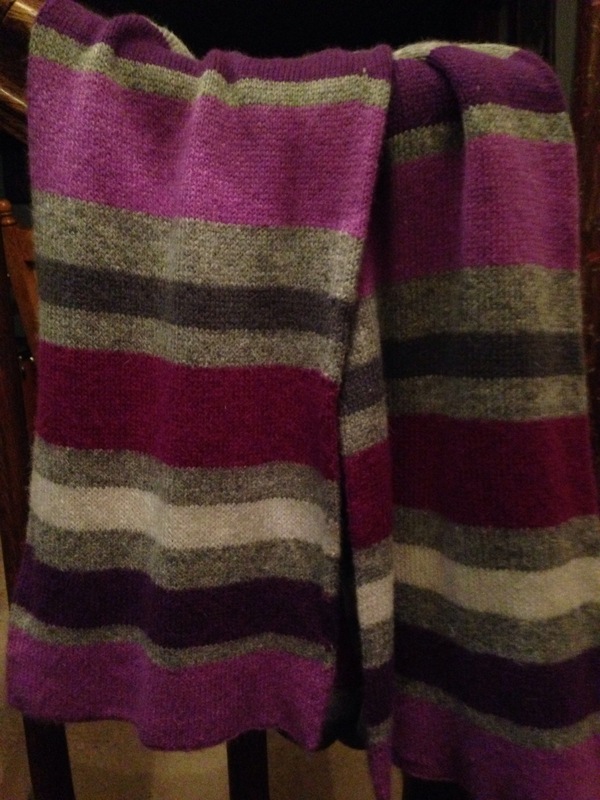 It’s a knit fabric that’s striped with my favorite colors so I think he did pretty well.